How much fun are you ready to have? Love watching sports? As enjoyable as it is to kick back with a good game or match, there’s something that’s even better—getting outdoors and having some real fun. 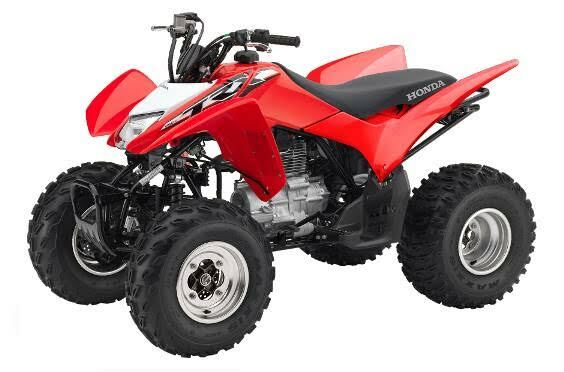 And when you’re talking about all-terrain vehicles, an all-time favorite for all-around fun has to be the Honda TRX250X. There’s a good reason this is one of our most popular sport ATVs. A whole bunch of reasons, actually. Beginners like the light handling, and especially appreciate the TRX250X’s broad, four-stroke powerband—a trait that’s made Honda engines famous for decades. Lots of riders enjoy the exclusive Honda SportClutch™. It’s a unique feature that gives you all the control of a manual shift and clutch, but that also eliminates the chance of shift-induced stalling. Riders with more experience like the long-travel suspension and athletic performance on the trail. And just about everyone appreciates the low-maintenance features like the shaft final drive and famous Honda reliability. 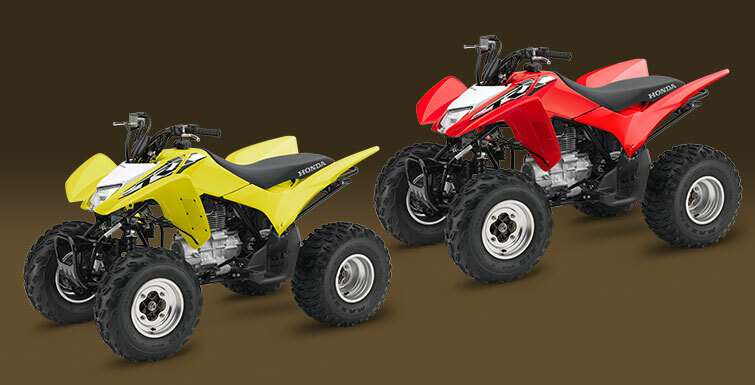 Light enough for smaller adults, big enough for full-sized riders, and with a powerband you won’t outgrow in a couple of months, the TRX250X is the ATV you can purchase once and ride just about forever. And that’s exactly what you’d expect when you choose a Honda. How much fun are you ready to have? The sky’s the limit with a TRX250X. 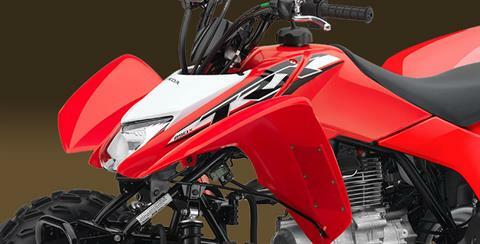 FRESH STYLING: With a TRX250X, you get your choice of distinct color styles. A white version featuring silver aluminum wheels is really unique in our ATV lineup. And there’s even a special edition red version with race-inspired graphics as wells as red hubs and springs. Black aluminum wheels too. INDEPENDENT FRONT SUSPENSION: Independent double-wishbone front suspension provides an exceptional 5.9 inches of travel and a smooth ride over rough terrain. 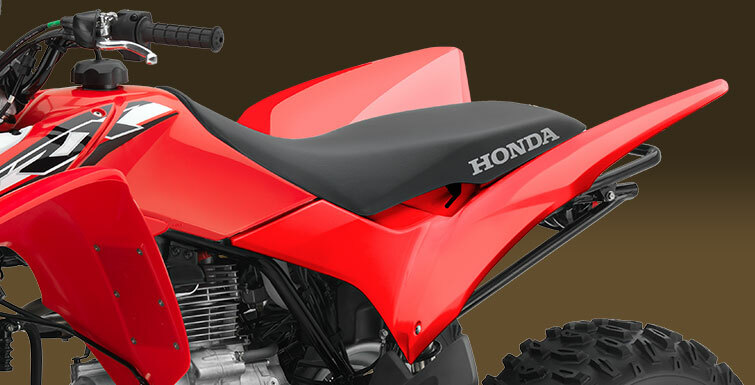 EXCLUSIVE HONDA SPORTLUTCH™: The handlebar-mounted Honda SportClutch enables the rider to experience manual clutch actuation with the advantage of no stalling when coming to a stop. This revolutionary feature allows beginning or novice riders to learn clutch engagement points, while experienced riders enjoy the full performance of a conventional manual clutch. KEYED IGNITION: Keyed ignition switch for added security. The switch also lets you control who goes riding and when. RUGGED, RELIABLE 229 CC OHV ENGINE: The TRX250X’s lightweight OHV air-cooled 229 cc engine is longitudinally mounted, allowing direct driveshaft alignment to rear wheels for more efficient power transfer. The two-valve cylinder head design features performance-optimized valve timing, a 31.5 mm-diameter intake valve and a 27 mm-diameter	exhaust valve contribute to the engine’s broad, usable powerband.